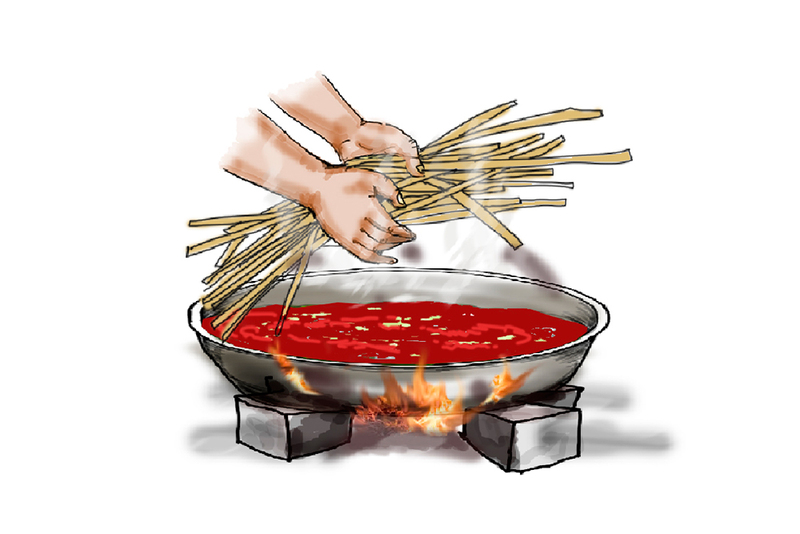 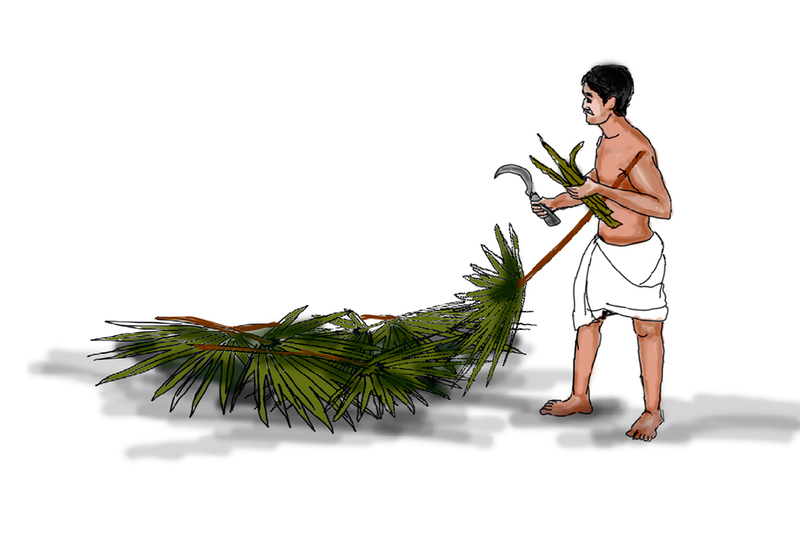 The grass is brought and thorns are removed and boiled in water. 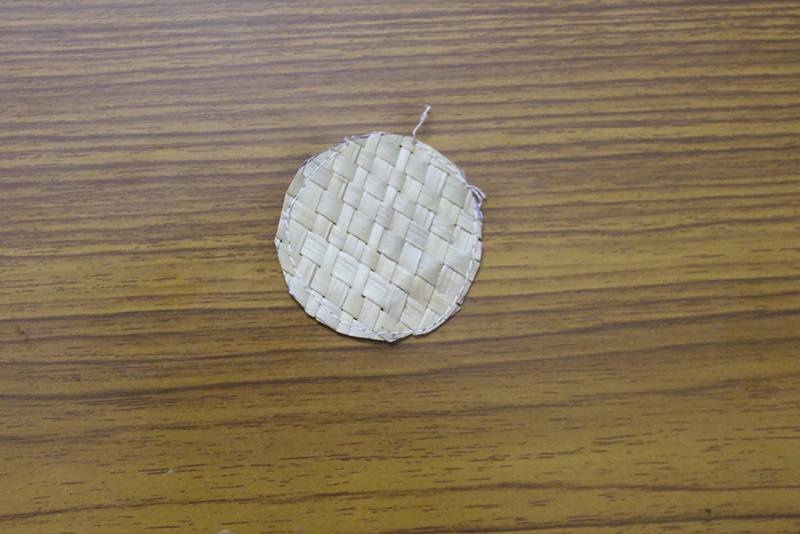 The boiled grass is dried in sunlight. 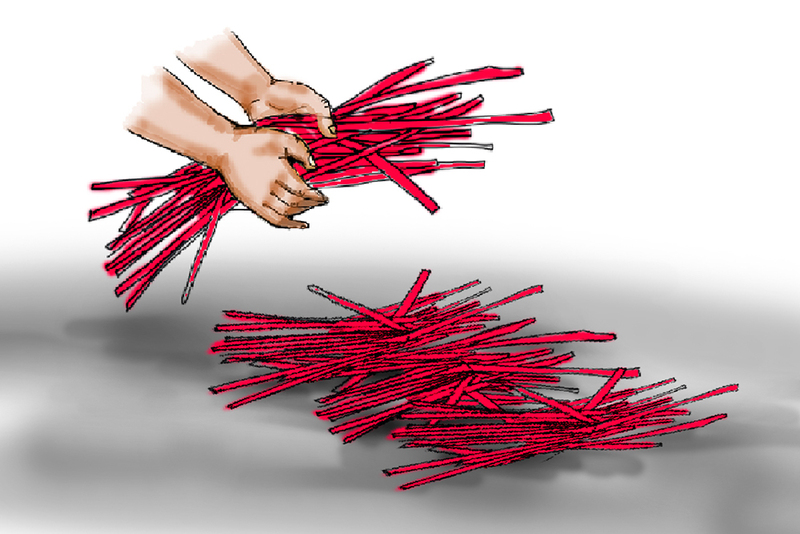 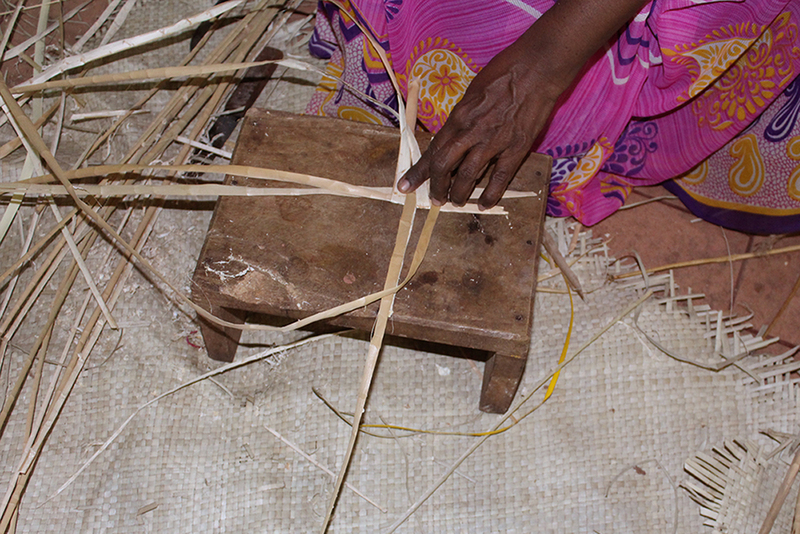 The dried grass is taken and split into two-piece. 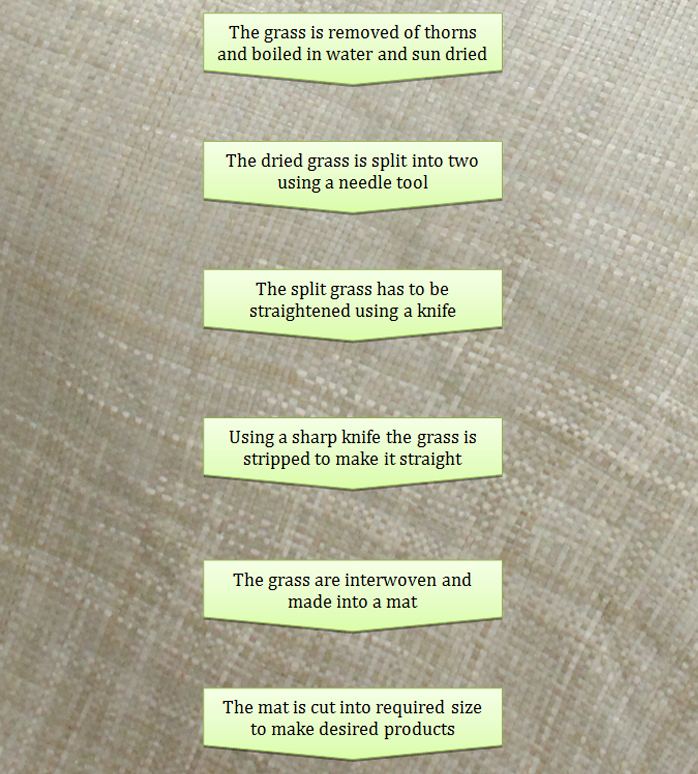 The Split grass will be somewhat coiled and rolled; it needs to be straightened out. 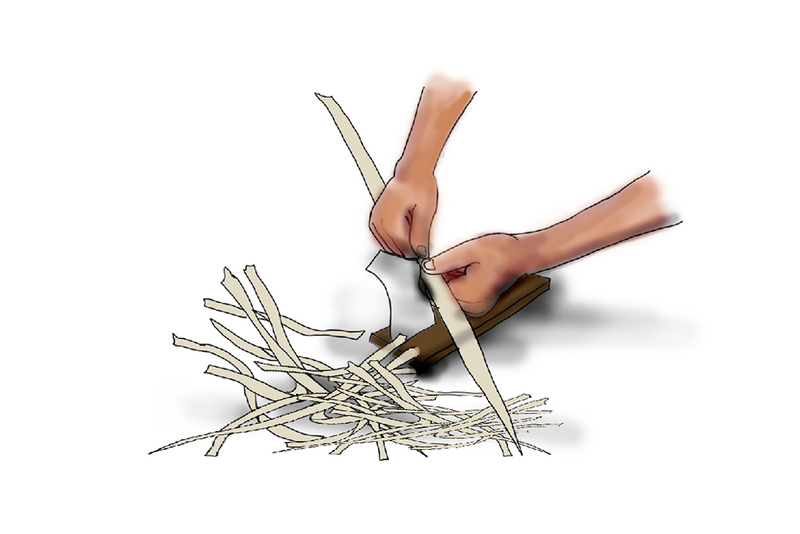 Using a sharp knife the grass is stripped neatly so that it becomes flat. 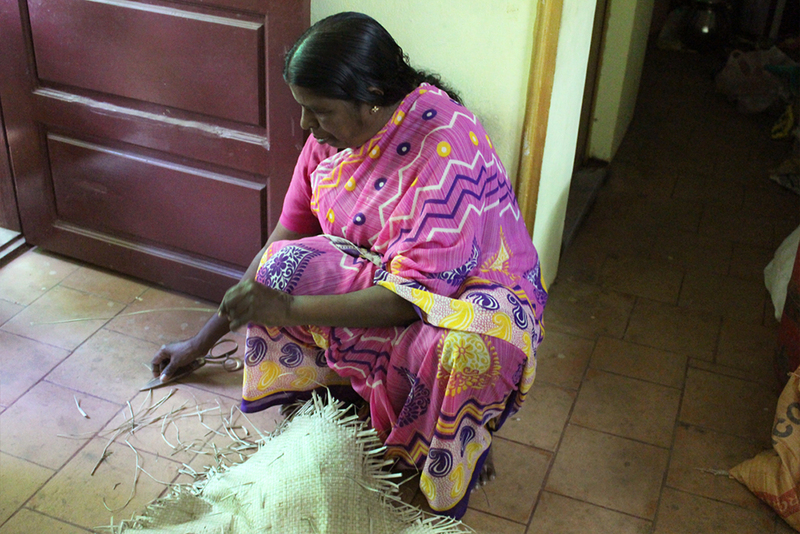 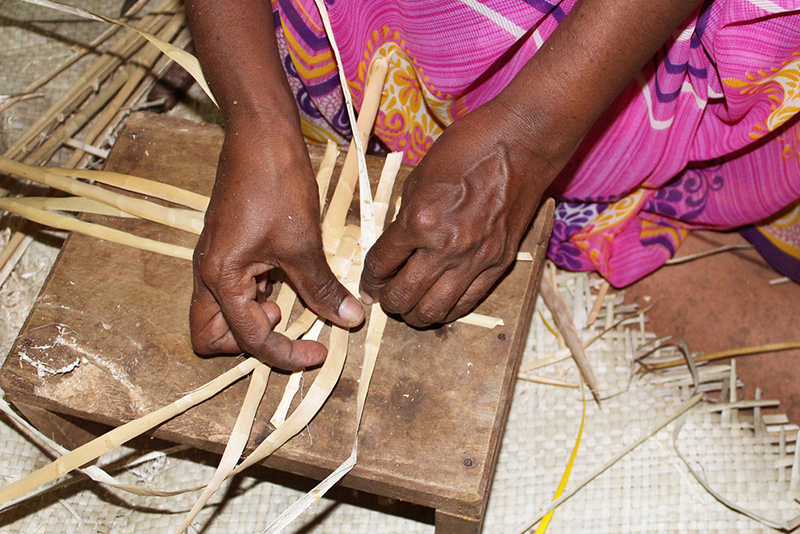 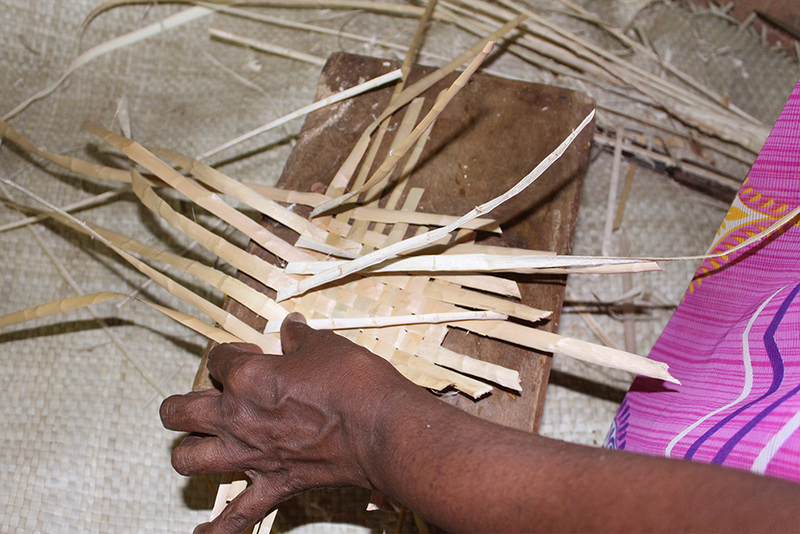 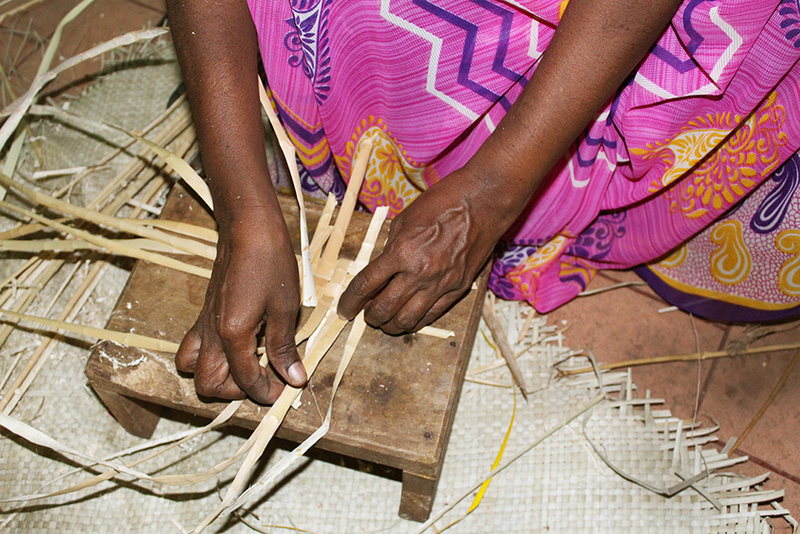 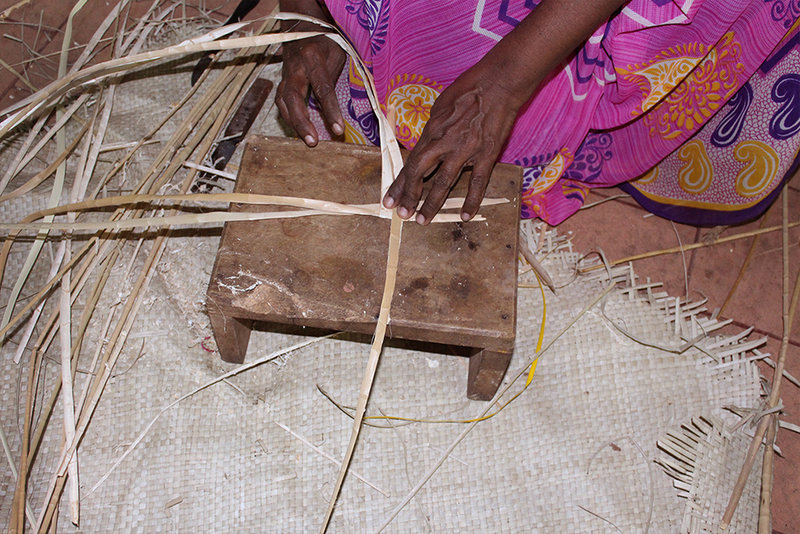 Required quantity of grass is made into strips to weave the grass. 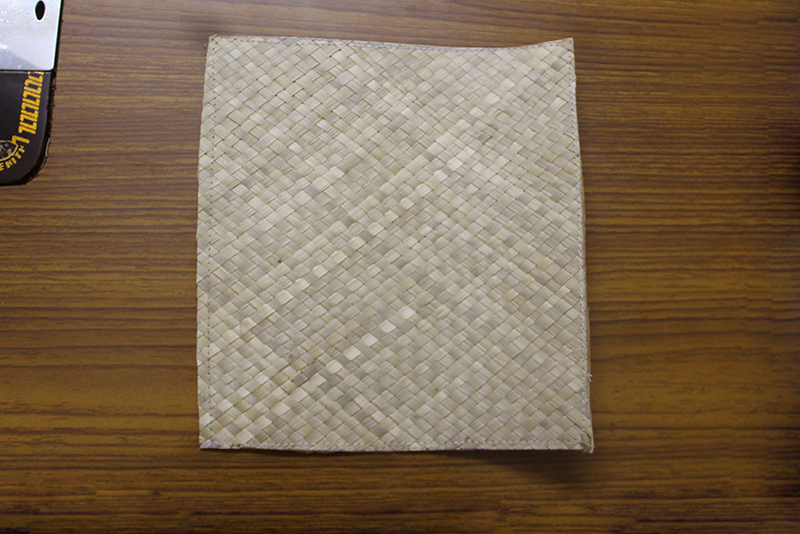 The grass strips are interwoven together to produce large size mat. 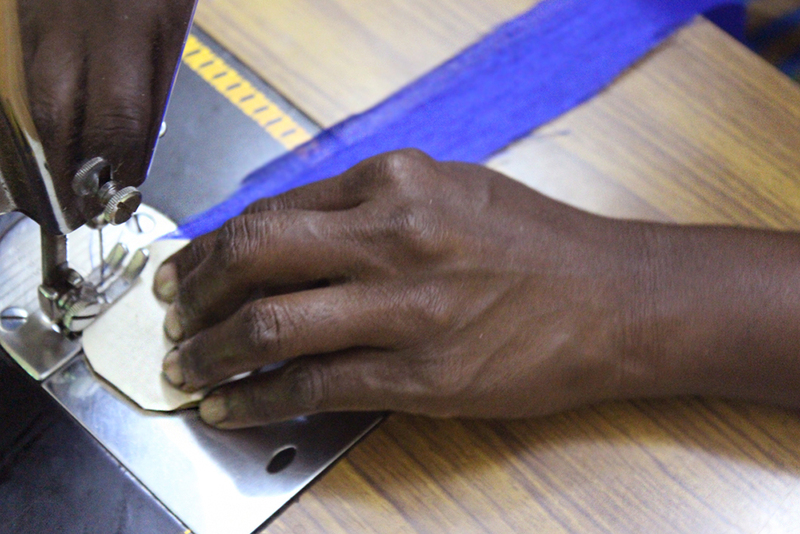 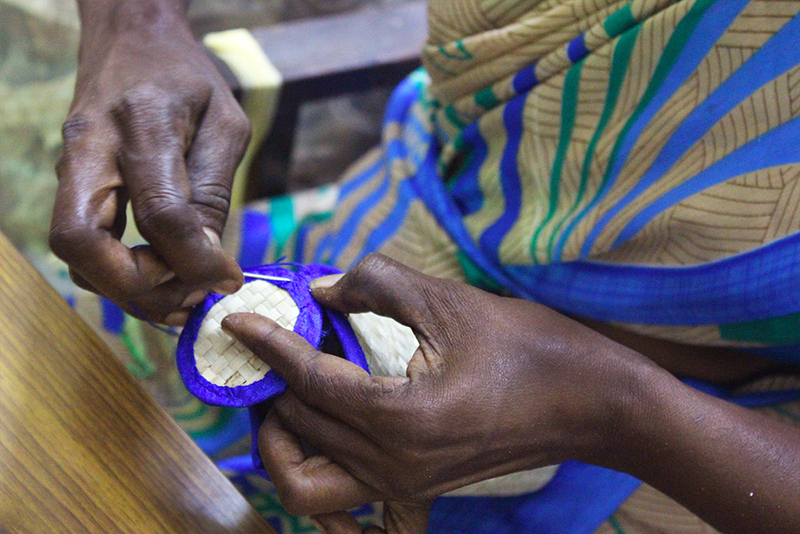 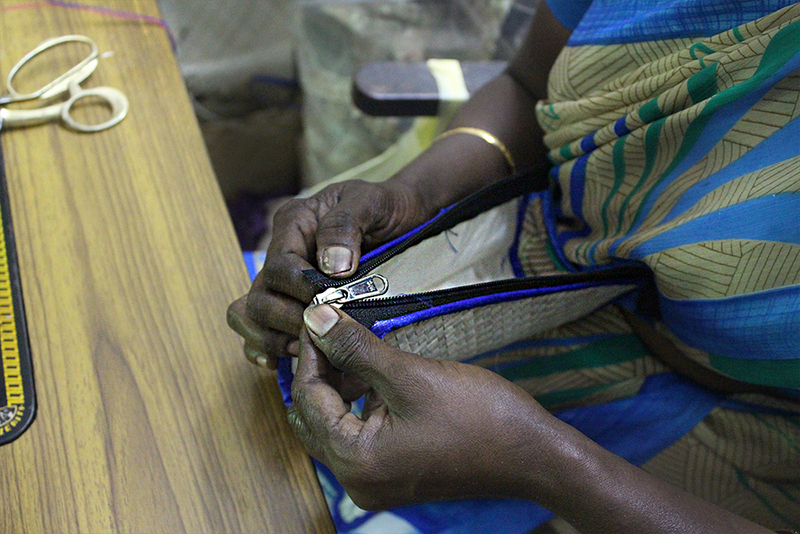 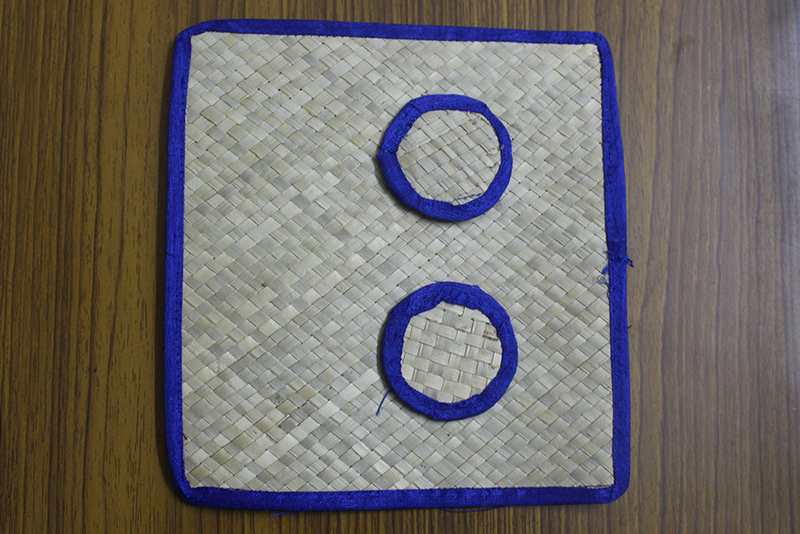 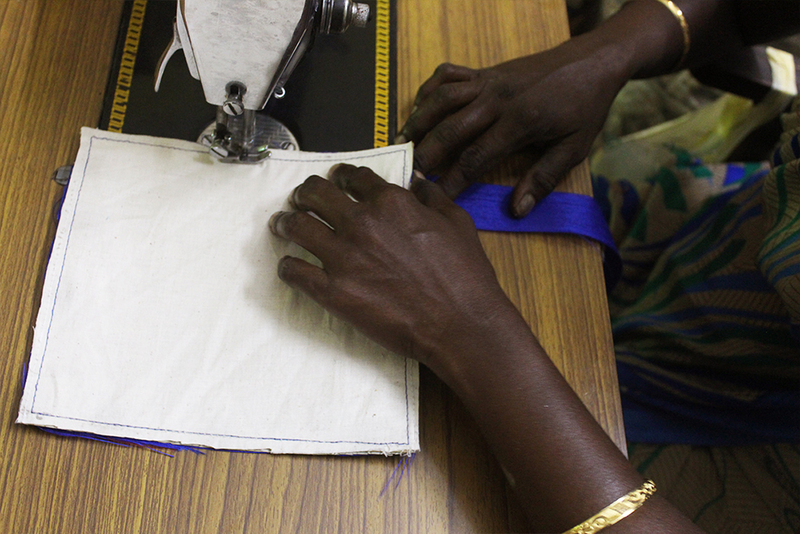 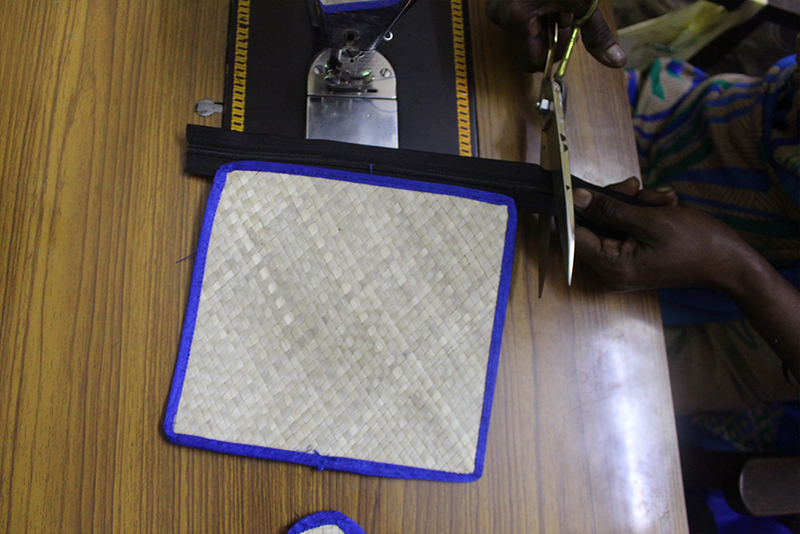 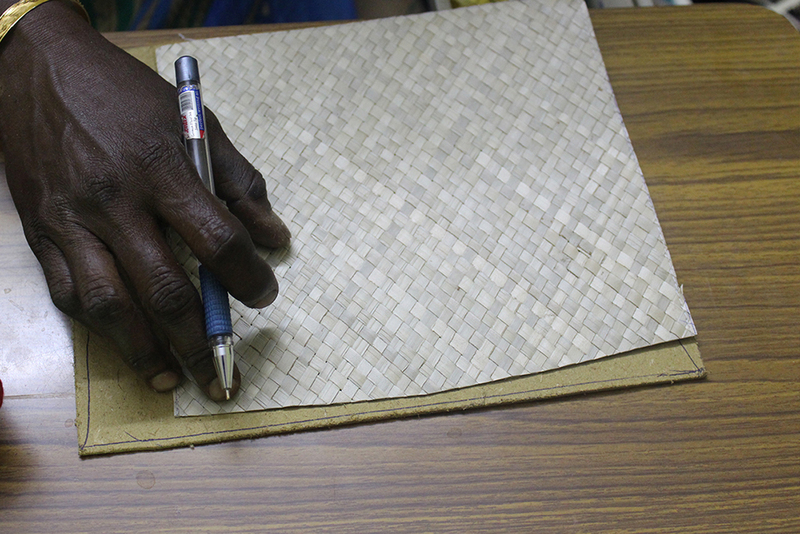 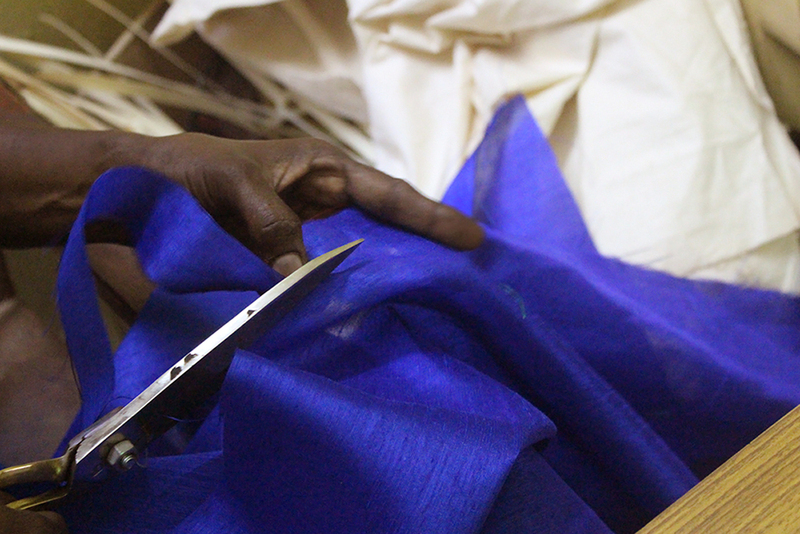 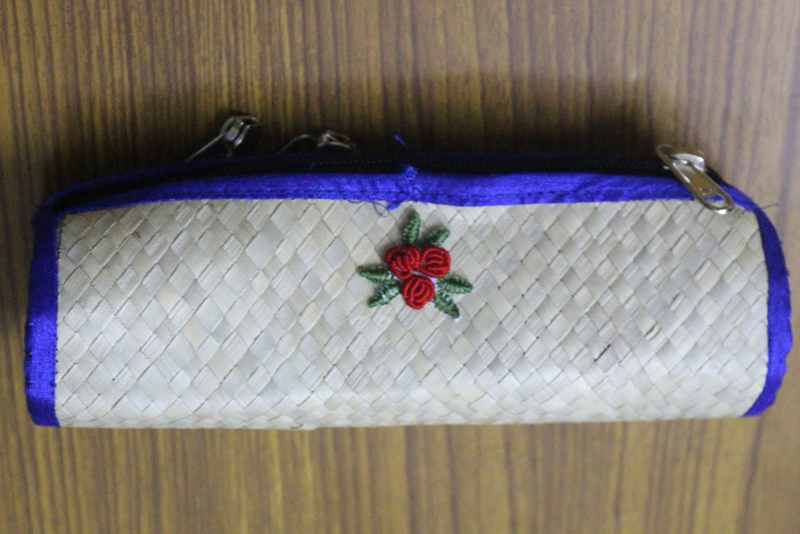 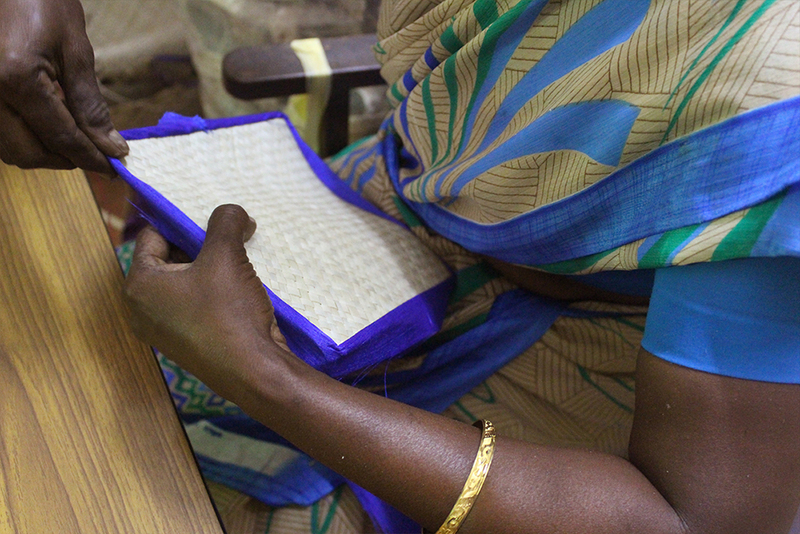 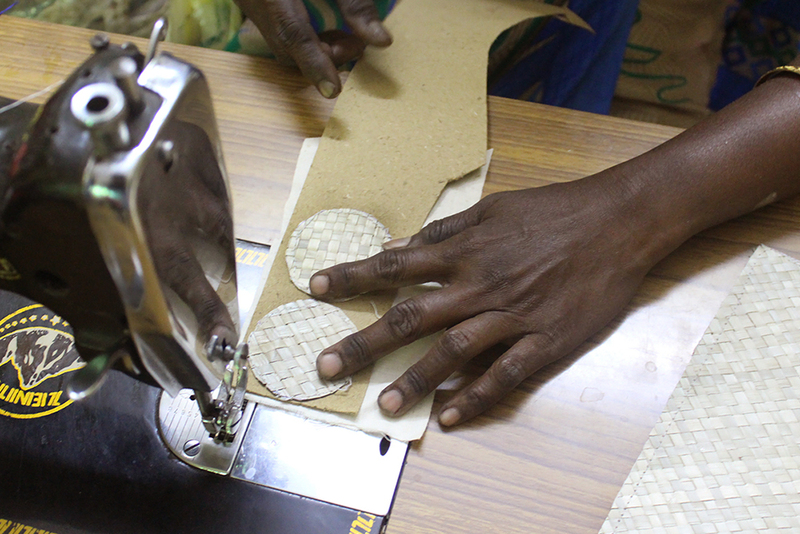 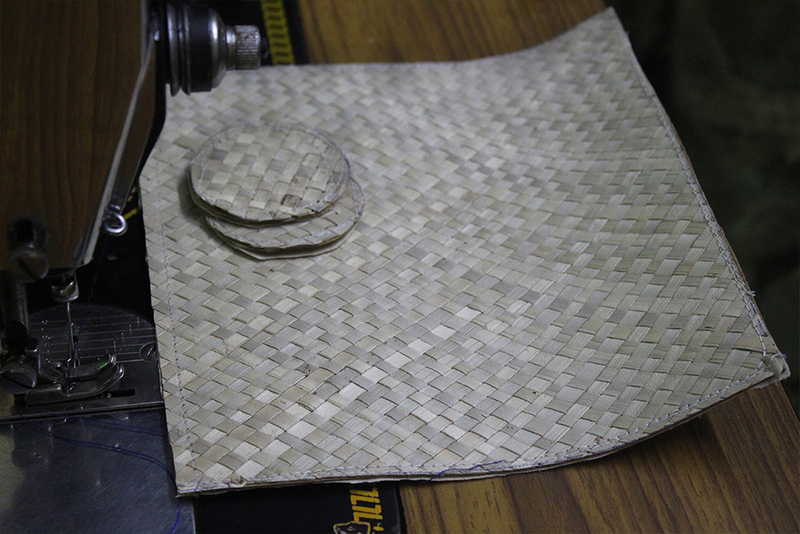 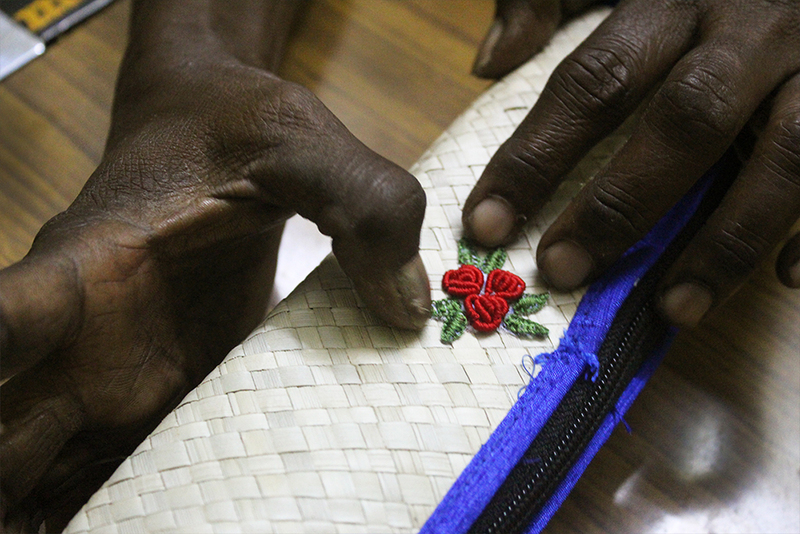 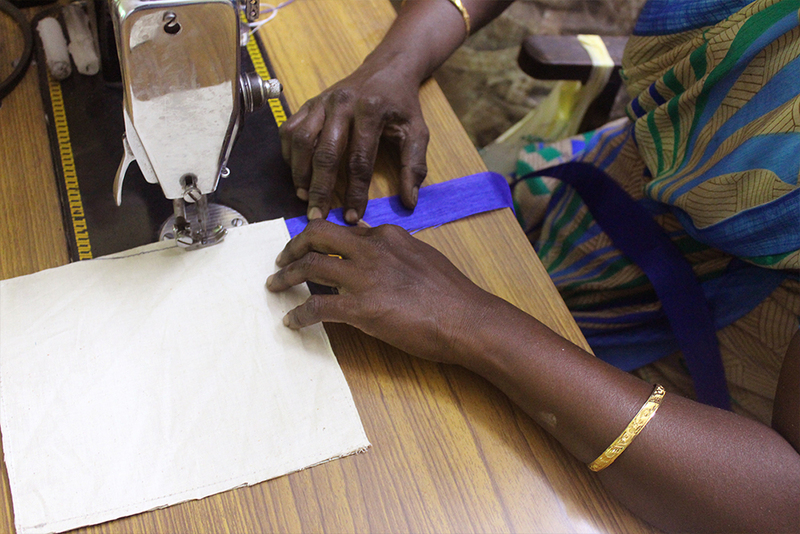 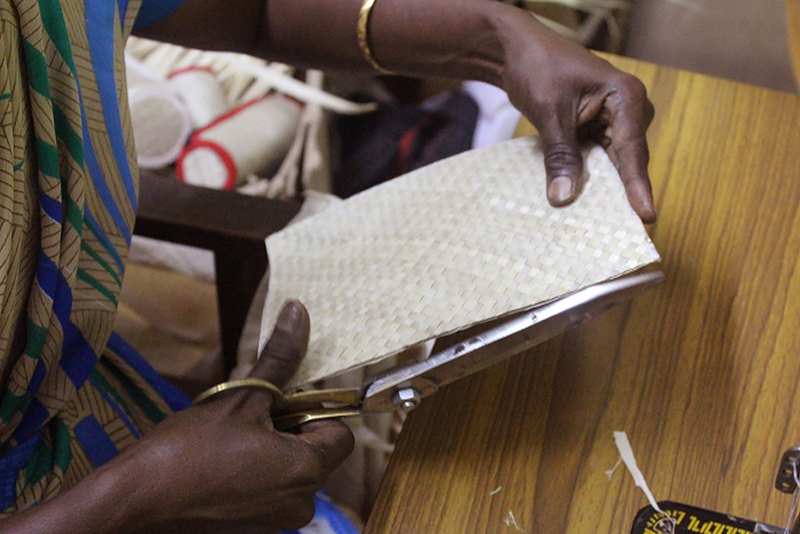 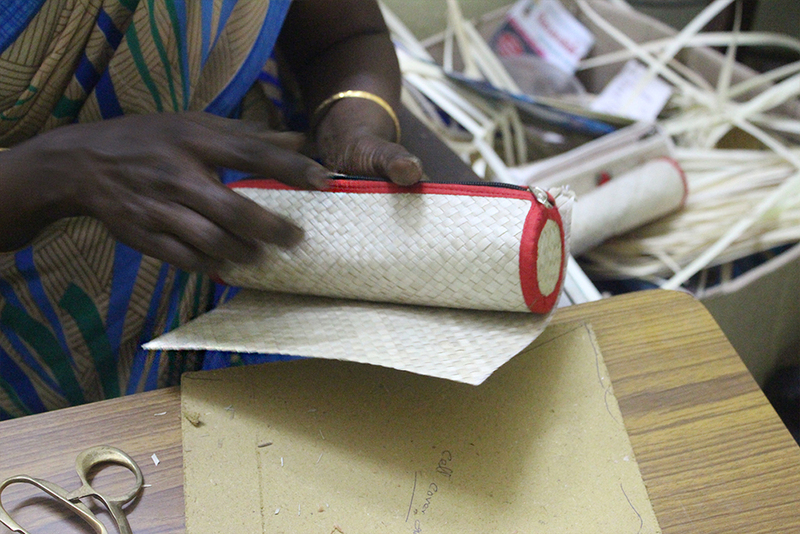 According to the size required the mat is cut into small pieces to make the desired products.